Need some light-hearted, Summer Fun adventure starring the Sea King? 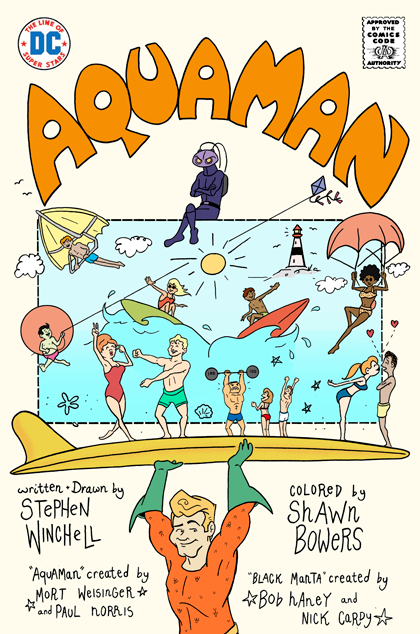 Then check out Stephen Winchell and Shawn Bowers' webcomic Aquaman Beach Party, available here! That was a really fun read! Great art style, very fitting for the lighthearted tone. Aquaman is the perfect summer superhero. Fun strip, even if Topo did end up as tapas.